Animated childrens books and interactive games. Explore the Encyclopedia Britannica Online. 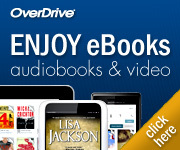 Download eBooks and eAudio Books from our digital collection! The POWER Library is offered as a service of Pennsylvania's public libraries, school libraries and the State Library. The POWER library allows you to access thousands of full text periodical articles, newspapers, a major encyclopedia, plus photographs, pictures, charts, maps, reference materials for young people and more. You will find materials of interest in most subject areas for all age groups from young children to adults. Whatever your goal, LearningExpress Library's resources will help you succeed. Each of our Learning Centers offers the practice tests, exercises, skill-building courses, eBooks, and information you need to achieve the results you want-at school, at work, or in life. Looking to land a job? You'll find an entire Learning Center dedicated to helping you get the one that's right for you.